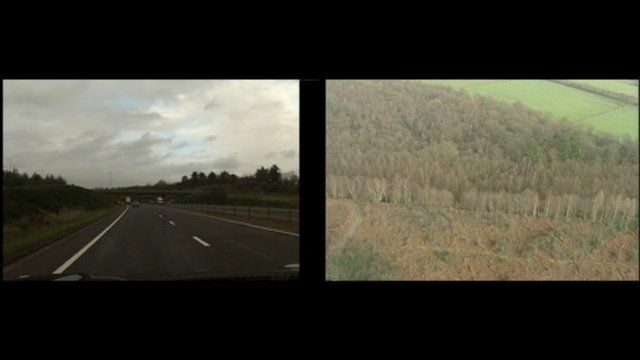 Here is a side-by-side view of the landscape before and after the Newbury bypass was built. The bypass protests culminated on 9 January 1996 when evictions of the protest camps, tree felling and undergrowth clearance work began. Twenty years on, the anti-bypass campaign is still seen as a turning point in British protesting history that arguably affected government transport policy ever since.